Take a Look At Our Newest Developing Project in Montclair! Restoring an old porch will add more functionality to your home and offer a high return on investment on your home. Basic home maintenance such replacing or restoring your front porch is the most visible and can greatly increase the homes appeal. Your restored porch is also an opportunity to extend your living space outdoors and can not only add value to your home but increase your living space without the expense of adding a room while providing a terrific location for family entertaining and fun. Gikas painting We have been restoring porches and decks in older homes over 30 years and promise absolute and uncompromised attention is given to the preparation of your new porch, renovating an existing porch, or completely remodeling your porch. We offer some of the most desired services in the industry. Top of the list is removal of old Aluminum siding and restore the original Architectural look and feel. The front porch can be the best part of summer gatherings in outdoor settings. Feel free to contact us to discuss the possibilities your home has. We look forward to hearing from you soon. The paint may be peeling, the color fading, or it just could be time to replace rotten wood. Painting or repairing the front porch will add more functionality to your home and allow you to enjoy all of your home. Front porches, Decks and patios are the most popular choices and offer a high return on investment andis an inexpensive way to dramatically change the look and feel of your home. Doing it right requires serious planning, and Gikas painting is able to provide absolute and uncompromised attention to the front porch repair or replacement of your home for painting. Gikas painting is an experienced and professional carpentry contractor. Some home renovations provide more return on investment than others like Porches are the most popular choices and offer a high return on investment and extend your living space outdoors. Basic home maintenance such as new Porch is the most visible and can increase the appeal. Our trained estimators have years of experience and are able to provide you with an accurate price, estimation of materials and time required to complete the Porch job up front. Our mission is to ensure your porch project is done right and to your satisfaction. Our work philosophy known by our costumers as GIKAS the WIZARD is creatively carried from project to project enhancing your home with texture, colors and details in order to comprehensively restore your Porch to its charming unique properties. A new or remodeled porch makes good economic sense increasing the selling price of your New Jersey house and extend your living space outdoors without the expense of adding a room while providing a terrific location for out door family entertaining and fun. New Jersey porches are a picture of the “good old days” and a lazy summer afternoon. Often the first impression that potential buyers have of your home is the exterior porch. Our professional carpentry crew will have the right tools for the job, weather your building a new porch, renovating an existing porch, or completely remodeling your porch, our mission is to ensure your porch project is done right and to your satisfaction. 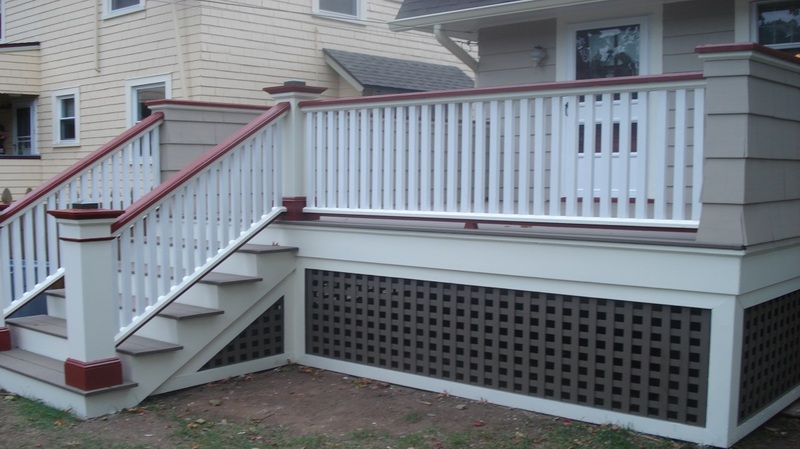 Experienced porch contractor in New Jersey, porch restoration Carpentry Services contractor Gikas Painting. The paint may be peeling, the color fading, or it just could be time to freshen the look of your home’s exterior. Painting the entire interior of a house is an inexpensive way to dramatically change the look and feel of your home with color. Doing it right requires serious planning, and Gikas painting is able to provide absolute and uncompromised attention to the preparation of your home for painting. Gikas painting is an experienced and professional interior painting contractor. Our highly skilled and experienced painters can transform the interior of your home into a work of art you’ll be proud to show off at holidays and special events. working quickly and efficiently, we make every effort to minimize disruptions to your home. The first impression that potential buyers have of your home is its exterior. We have been painting the interior of older homes in Montclair and surrounding towns since the 1980’s. We have the experience to make effective use of color on the interior walls of your home that can add thousands of dollars to its value. Walls with peeling paint will signify to potential buyers that you done take good care of your property and maybe other problems will surface. Potential buyers are crazy for wallpaper either because it house look dated. At Gikas painting, we are a professional exterior painting contractor, paying attention to detail is a part of the job and we understand that it is our responsibility to provide a quality interior painting job to you, the homeowner. Our professional exterior paint crew will have the right tools for the job and the tricks of the trade and the techniques to get high quality results. At Gikas painting we offer some of the most desired painting services in the industry. We have been painting and restoring older homes in Montclair and surrounding towns since the early 1980's. Flooring is probably one of the easiest and most inexpensive home improvements of them all. The flooring in your home takes a pounding day after day and we don't realize how bad it can become. Every homeowner wants to protect and improve the value of their most expensive asset, their home. Now is the time to think about what sits on top of it.